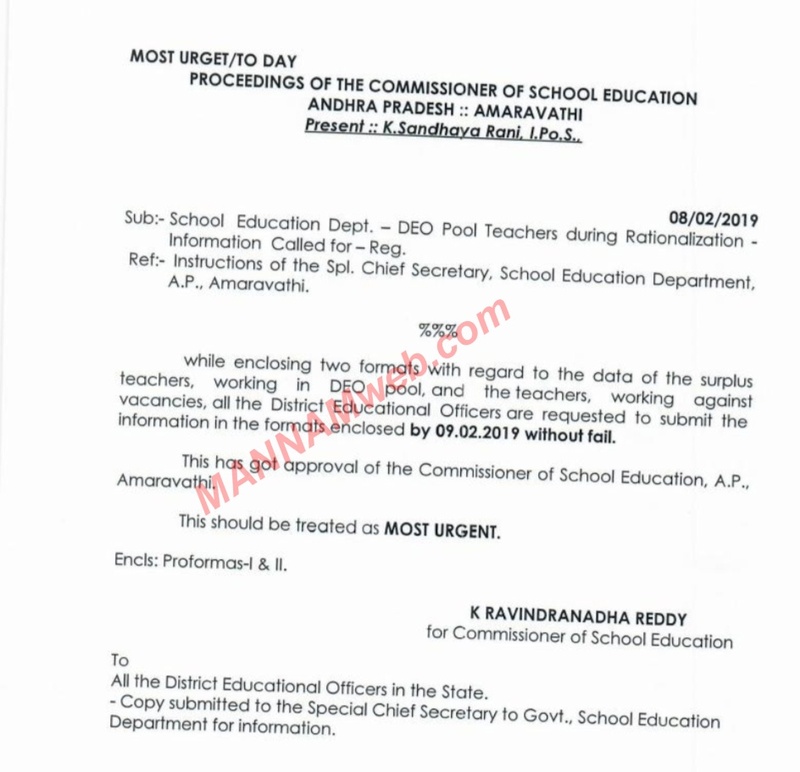 Sub:- School Education Dept.- DEO Pool Teachers during Rationalization . information in the rmats enclosed by 09.02.2019 without fail. This has got approval of the Commissioner of School Education, A.P.